Like sleeping in a tent camp. OUTSIDE! PR Dad and I had never camped before so between putting up a tent and living outside I figured this would be a good test of how well we can work together. And I am happy to admit that we did excellent! Tents went up no problem and as much as I was not looking forward to sleeping in a tent OUTSIDE, it was a lot of fun. 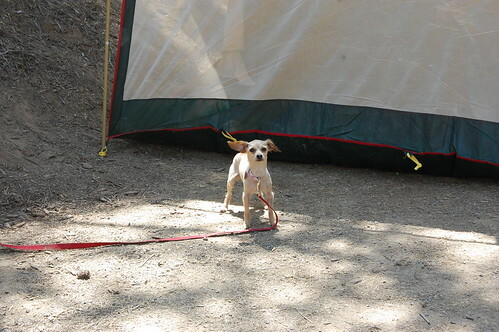 We had 2 campsites next to each other. 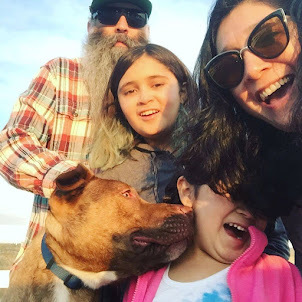 We had my parents, Tia Uh-laine and my Tio Jack and Tia Rosalie on one site. Then us and Tia Day-Day and her giant tent for her tribe on our site. 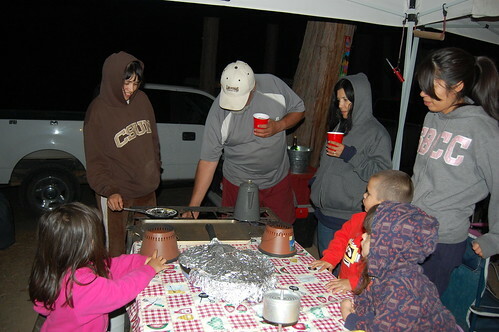 We had a great set up with a few pop up canopies for cooking, eating and relaxing around the campfire. There was a bee issue, but fortunately they were not the stinging kind just the annoying kind. The first night was C-O-L-D, but after that even the nights were good. 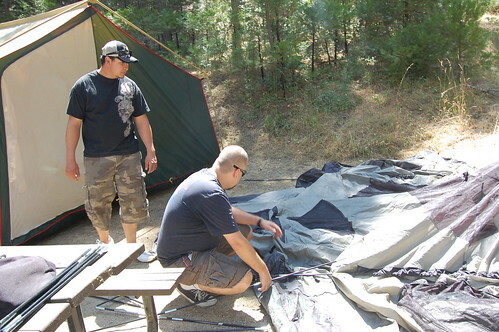 This picture may be of the guys setting up the tent but Day-day and I totally did most of the work. Yes my pampered cat-like dog even went with us. The kids entertained themselves with a game of freeze dance that turned into a dance endurance contest. Of course The Phi was the last one dancing. 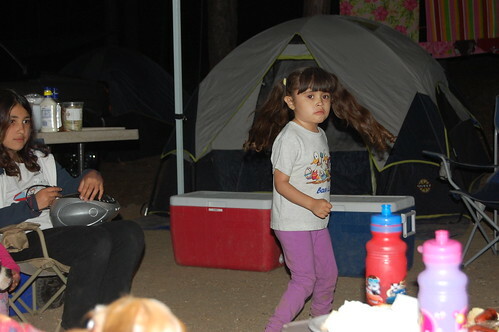 Even popping popcorn if fun when camping! We even set up the car dvd player up in the back of our car, set up little cars and gave the kids popcorn and licorice for a movie night. 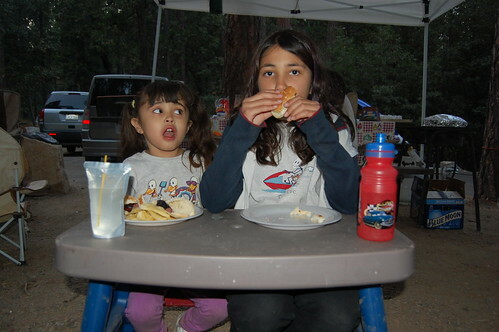 And of course the food just taste better when cooked in the fresh mountain air!